GGS at the unveiling of Maddermarket’s GoGo Dragon…. 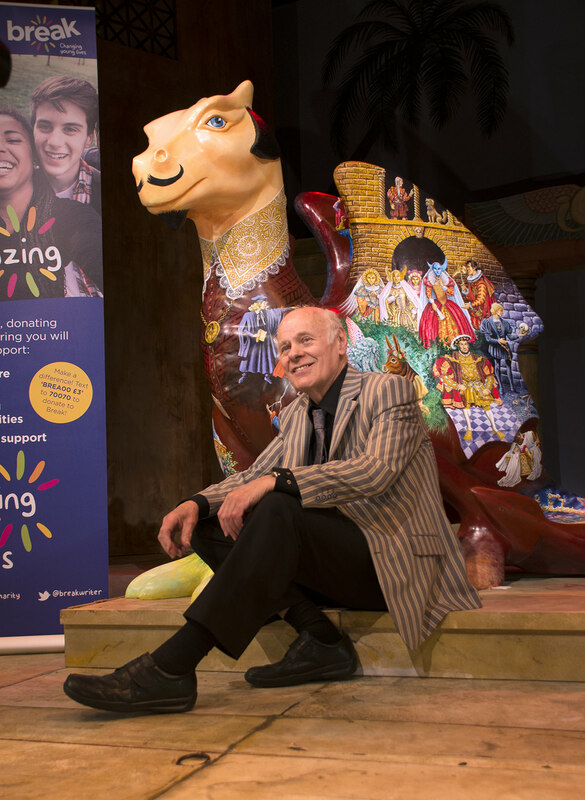 Being a sponsor of The Maddermarket Theatre, it was a great pleasure to be invited to the unveiling of GoGoMadder on Friday Afternoon. The dragon was designed by John Stokes and is decorated with scenes from 34 of Shakespeare’s plays (we feel a competition coming on :-)); the stunningly illustrated dragon was unveiled by Jonathan Redding and Rebecca Aldred who play the leading roles in Anthony and Cleopatra, a play GGS are proudly sponsoring which is running currently until Saturday 2nd May. 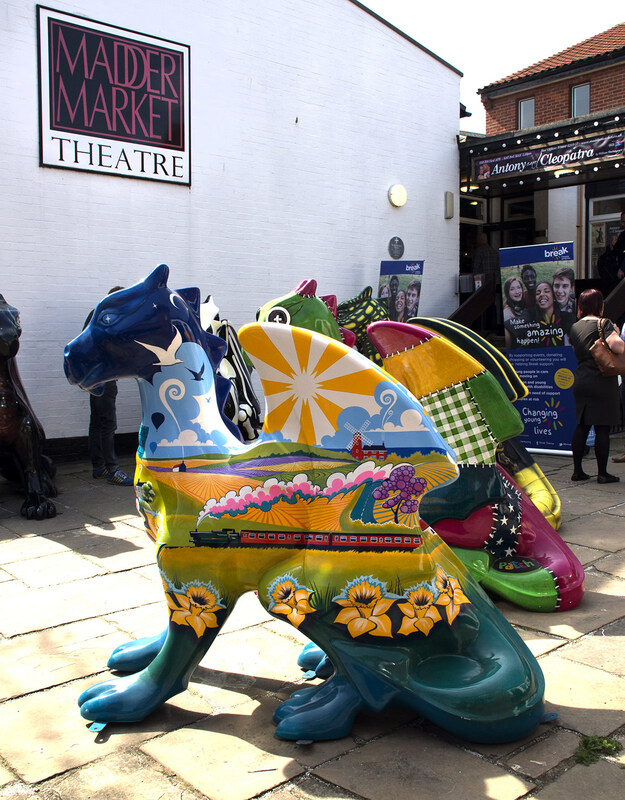 Each dragon is sponsored by a local business, group or trust and the sculptures will hit the streets of Norwich on 21st June – 5th September; you can find GoGoMadder in the lower courtyard at The Maddermarket Theatre. 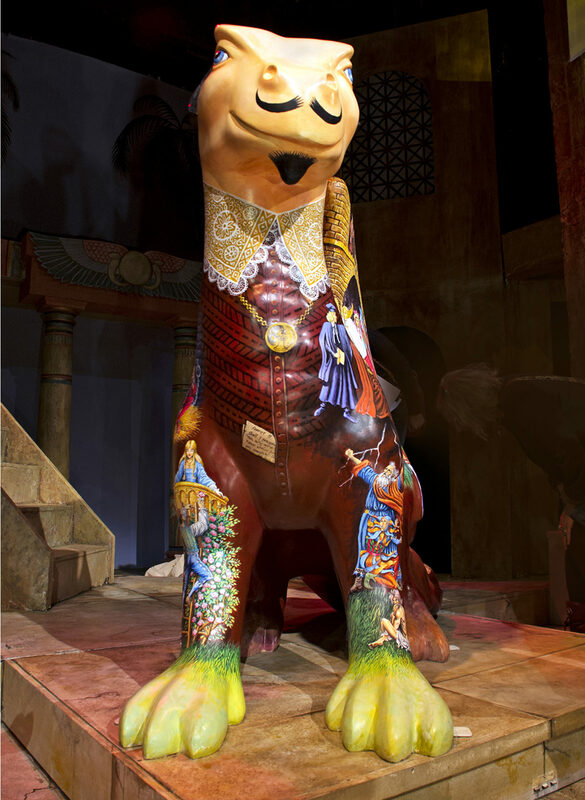 Be sure to explore GoGoMadder and the rest of his GoGo Dragon friends this summer, you will be amazed by the amount of talent and originality that has gone into every dragon. 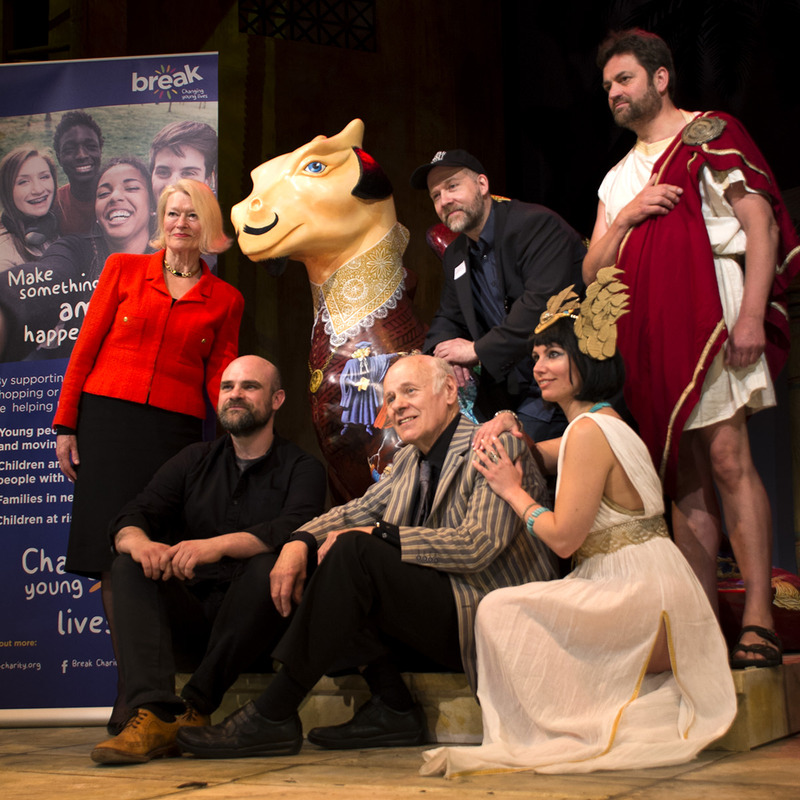 A massive thank-you to everyone at The Maddermarket Theatre, Break Charity and Wild in Art for making this event so fantastic! Don’t forget to download a copy of the trail map from the GoGo website at the end of May.